Matthew Umbro shared on Twitter a new Google AdWords extension last week that the PPC community thinks is another form of an automated AdWords ad extension. 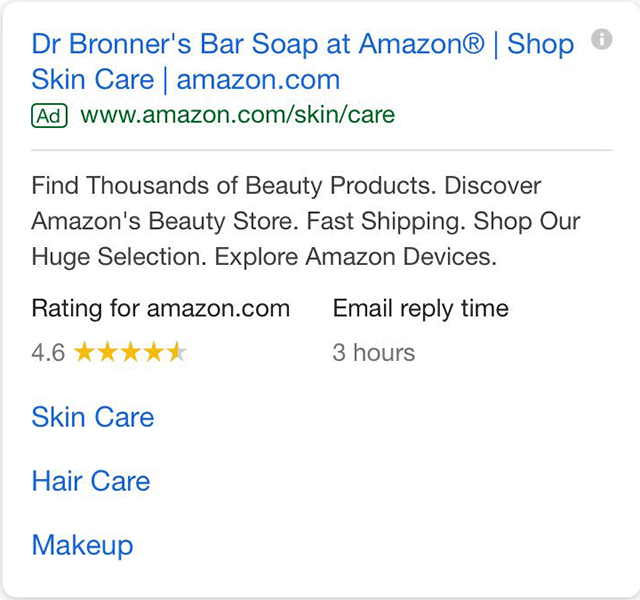 He showed the AdWords ad showing in the snippet or ad copy "email reply time 3 hours." When I tried replicating it for the same ad on desktop, I got one that said "average delivery time: 1-4 days." Don't you just love automation and potentially machine learning at its best?